With over 8,000 km (5,000 miles) of coastline, Thailand’s beaches and islands are just waiting to be discovered. Easily accessible by ferries, speed boats, and the iconic long-tail boat, the islands of Thailand offer something for all tourists, from relaxing on the white and golden sands of Phuket to scuba diving and snorkeling in locations like the Similan Islands or Koh Tao. The Andaman Sea holds many treasures in island gems like Ko Phi Phi, Krabi, and Koh Lanta, while the western coast has the famous kayaking destination of Phang Nga Bay. The glittering golden roofs of Bangkok’s Grand Palace are over 200 years old, and although it can be viewed as a tourist trap, is still a destination worth visiting, as it has been the official residence of the King of Siam since 1782. The history and splendor of the estate is obvious, with many interesting aspects to see, such as the exquisite Emerald Buddha. At night, the palace is illuminated—making it a perfect vista for couples. When in the area, don’t miss out on the chance to see the Reclining Buddha at Wat Pho, home to the largest reclining Buddha in Thailand, or the beautiful Temple of Dawn, otherwise known as Wat Arun. The north of Thailand is home to many different hill tribe villages which can be explored via trekking. Many treks originate out of Chiang Mai, the Rose of the North, and include home-stays to help travelers comprehend the unique way of life in the villages. Muay Thai boxing is the cultural martial art of Thailand, dating back several hundred years. Originally, it was used as a form of close combat weaponry, with the hands being used like daggers or swords, the shins and forearms as shields, the elbow like a hammer, and legs and knees acting as an axe. Modern Muay Thai Boxing first emerged after World War II, when European and American soldiers witnessed Thai soldiers stationed overseas practicing their fighting style. Formal rules made the art resemble modern boxing in style and organization. Watching a match in the cultural capital of Thailand, in Chiang Mai, is a perfect way to see history come alive. 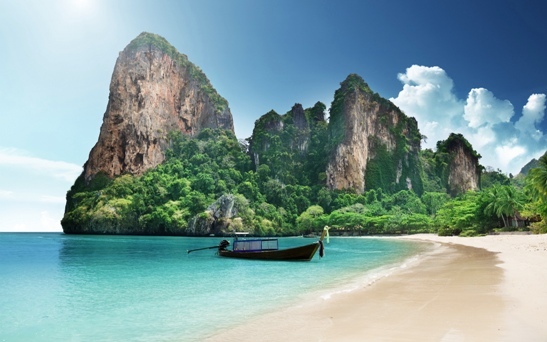 Thailand contains a diverse landscape from pristine beaches and turquoise seas to thick jungles and craggy mountains. The ancient ruins of Ayutthaya and Sukhothai remind visitors of the Thai Kingdom’s grandeur of old, while the national parks of Khao Yai and Khao Sok offer excellent opportunities to admire the natural landscape and abundance of animals. 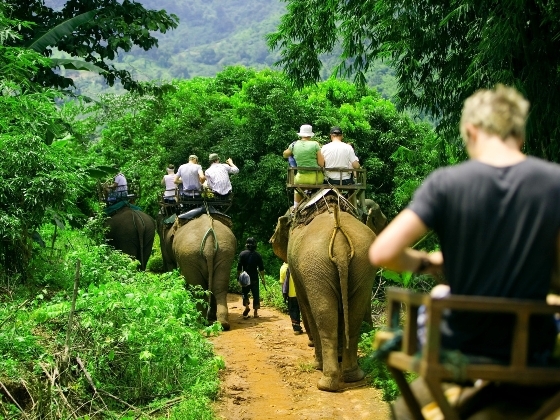 The elephant is considered as Thailand’s national symbol and is a revered animal within the country. Whether you wish to train to be a mahout or learn more about elephant conservation, reputable elephant sanctuaries can offer a wealth of opportunities to encounter these magnificent creatures. While Kanchanaburi Province is well-known for its adventure activities and stunning landscapes, it also holds a haunting past during the WWII era. Here is where the infamous Death Railway (linking Thailand to Myanmar) and bridge over the River Kwai were built by POWs and Japanese supervision. 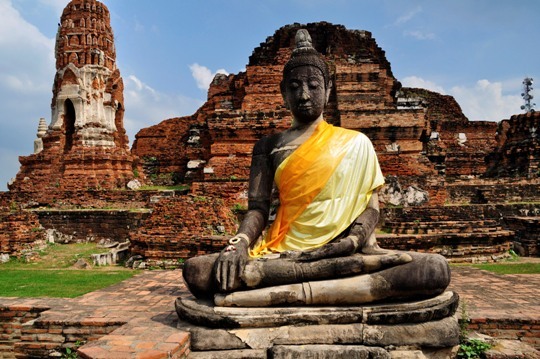 Thailand is the birthplace of the world-renowned Thai Massage and is an incredible place to enjoy a variety of massages, treatments, and yoga or meditation retreats. Whether you are tanning on the beach or weary after a day of jungle trekking, there will always be a spa nearby for tourists eager for pampering and relaxation. 9. Shop ‘till You Drop! 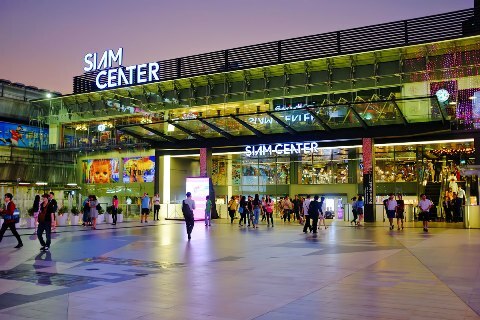 It wouldn’t be a trip to Thailand without visiting one of the bustling markets or 5-star shopping malls in the country. Thailand is home to a number of exciting markets, from the enormous weekend market of Chatuchak in Bangkok, where anything is available, to the traditional floating markets of Damnoen Saduak. When visiting Chiang Mai, the Night Bazaar is an excellent place to shop for local handicrafts, silks, pottery, and silver! Thailand’s cuisine is famous for its mouthwatering flavors and exotic spice combinations. A trip to Thailand would not be complete without sampling many of the delicious fares existing in the country, from the iconic Pad Thai to classics like Chicken Cashew Nut or Sweet and Sour. Lastly, Thai Curries are well-known for their spice—try with caution!